I've been spending a lot of time in the bathroom lately. Not just at my home, but at the homes of neighbors, friends and clients, too. Thankfully, it's not because I'm suffering from incontinence. 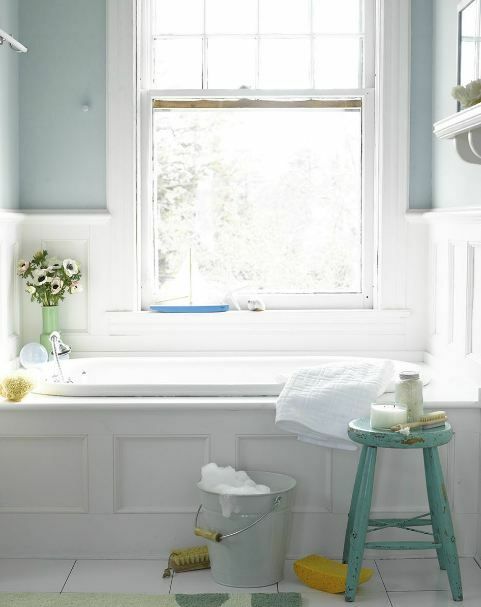 I just happen to be working on several bathroom remodeling projects. This is one of the design boards I created for a client. 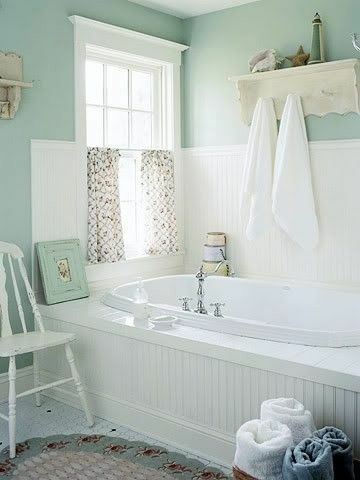 The tub area will be the focal point of the room, so I want to make it special. 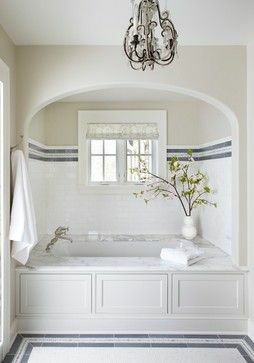 While my client would love to have a freestanding tub, space does not allow for it. 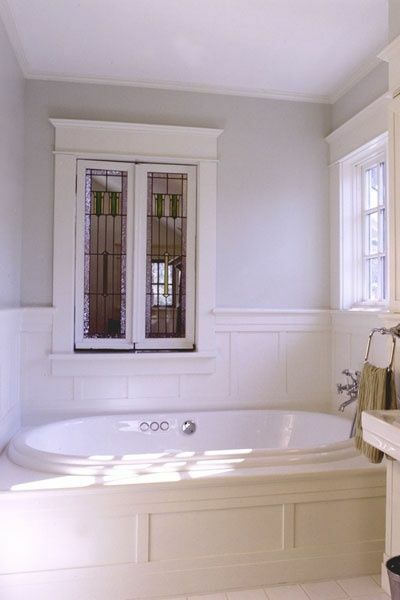 I don't know about you, but I'd be more than happy to soak in any of these tubs! 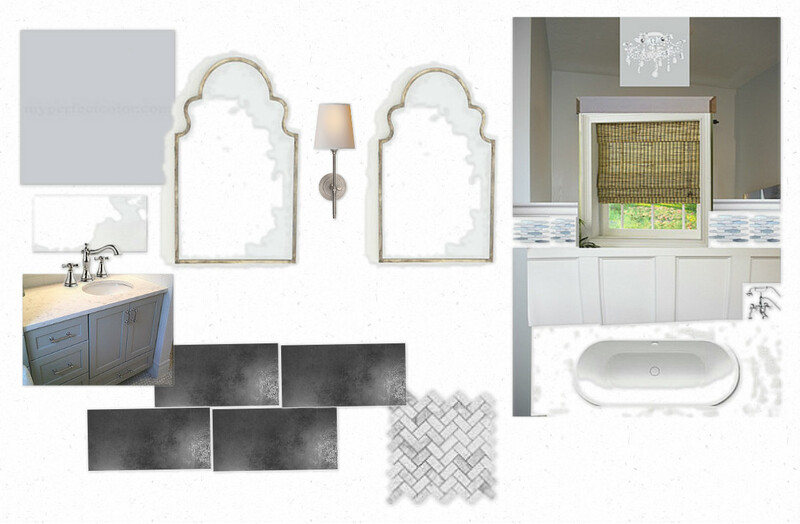 I'll be sharing some more of the design plans for this bathroom and another one in the coming weeks. I also have a couple of completed bathrooms that I need to photograph so I can share them with you. 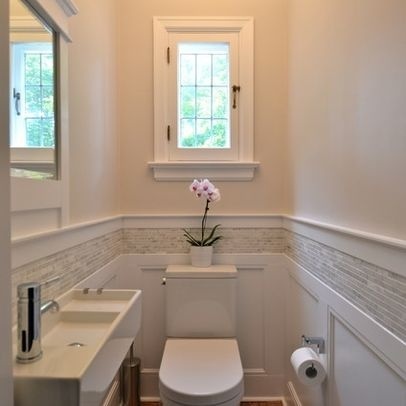 So, if you need to use a bathroom (for inspiration, that is), check back in! You can also follow me on Pinterest to see what's inspiring me. I apologize for the inconsistent blogging lately. School is almost out (2 more days! ), which always involves a flurry of activities... field trips, programs, concerts, etc. Also, I'm busy packing and prepping for my trip to Germany one week from tomorrow! Trying to spend all my free time with my kiddos, as I'll be away from them for 11 days ... yikes!! Remember those end of school year crazy times very well. Surprised you have any time to blog at all. Have an awesome time in Germany! Great inspiration pics. Can't wait to see the outcome. Loving these spaces! Great inspiration for sure! Hey...we are using three of those mirrors for my client, too...great price. Such a pretty post. 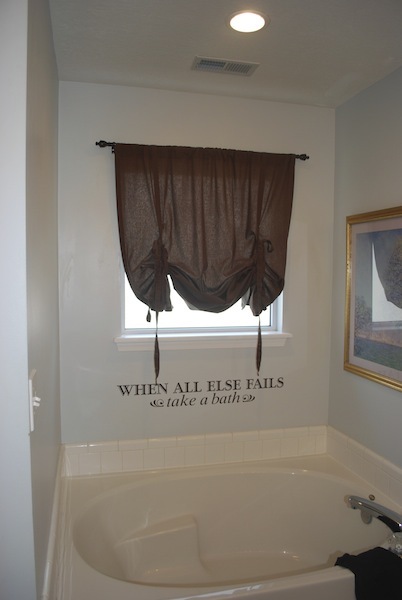 Wow, you really a bizarre kind of person coz’ of all the rooms, you love to hang in bathrooms. But honestly, I love your unique designs and thoughts. I bet your client will be very satisfied with your work. Great job! Hope you could design one of my rooms too. Wonderful plans...Good luck with your projects. What is the paint color in the last pic?